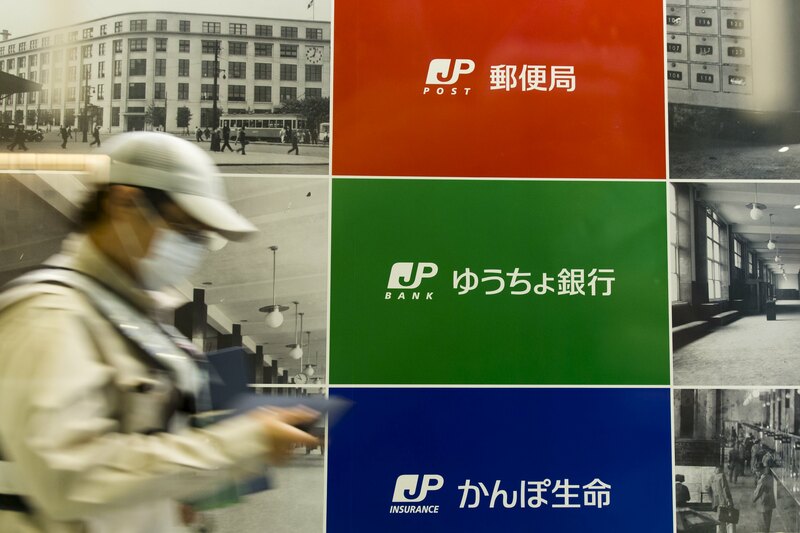 Shares in Japan Post Holdings Co.’s banking and insurance units were priced at the top of marketed ranges as part of a three-pronged initial public offering, signaling strong demand for the nation’s biggest privatization deal since the 1980s. 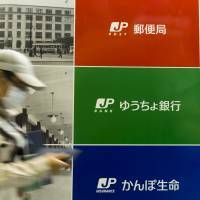 Japan Post Bank Co. shares were offered at ¥1,450 apiece and Japan Post Insurance Co. was priced at ¥2,200, a Finance Ministry filing showed Monday. The government will raise ¥743 billion ($6.2 billion) from the sales of the units, according to Bloomberg calculations. The price for the holding company will be decided next Monday. Investors shrugged off a two-month stock-market slump to make orders that exceeded the amount of stock on offer after only two days, people with knowledge of the matter said last week. Prime Minister Shinzo Abe’s government is seeking to raise as much as ¥1.4 trillion in the world’s largest IPO this year. The banking arm had been offered at a range of ¥1,250 to ¥1,450 a share, and the insurer had been priced at ¥1,900 to ¥2,200. The holding company is being offered at ¥1,100 to ¥1,400. The three companies will list on Nov. 4. Shares in the postal service, whose origins date back to 1871, are mostly being offered to citizens as part of Abe’s goal to get people to invest more of their savings. Foreign institutions have been allocated 20 percent. Some of the proceeds will be used to rebuild areas in the northeast that were damaged by the 2011 earthquake and tsunami. About 11 percent of the three companies will be sold in the IPO, which is set to be Japan’s biggest state asset sale since Nippon Telegraph & Telephone Corp. in 1987. The bank and insurer will eventually be fully divested following later offerings, and at least a third of the holding company will remain owned by the government. Japan Post Bank is the biggest holder of deposits in the country and Japan Post Insurance is the largest insurer by assets. Former Prime Minister Junichiro Koizumi first drove the sale plans a decade ago, arguing that the assets would be deployed more efficiently in private hands. The bank, among the biggest holders of Japanese government bonds, is already starting to shift to other securities to boost returns. About 60 firms are working on the IPO. Nomura Holdings Inc., Goldman Sachs Group Inc., Mitsubishi UFJ Morgan Stanley Securities Co. and JPMorgan Chase & Co. are the global coordinators.